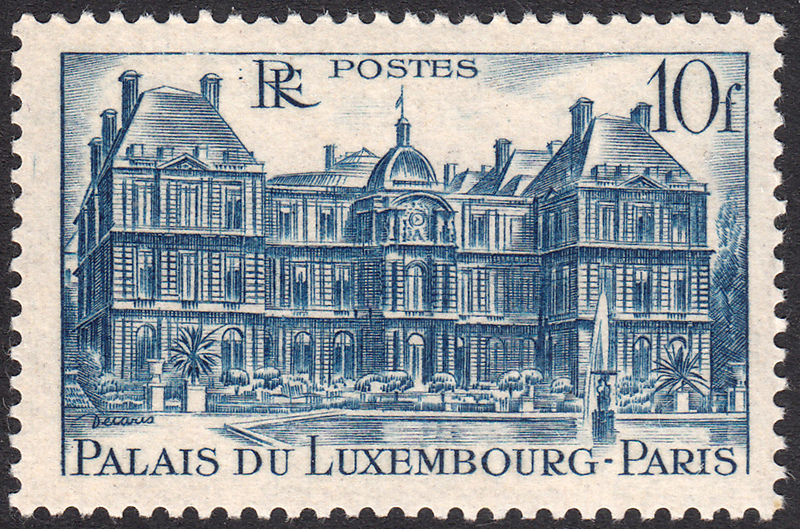 The original Luxembourg Palace was designed by French architect Salomon de Brosse. Construction took place between 1615-1645. Its original, purpose was to be the residence of the regent Marie de' Medicis, the mother of Louis XIII. It went through two further refurbishments to get the stage we see today. Its usage also changed over time. It has been a legislative building since 1805, and since 1958 it has been the seat of the French Senate of the Fifth Republic. On 29 July 1946, France issued a 'Sights and Monuments' series. 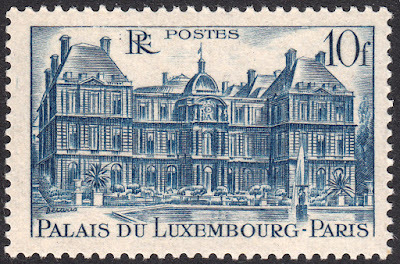 The Luxembourg Palace engraved by Albert Decaris appears on the 10f value. This engraving was subsequently used for different values in later years. This is one of my favourite early Decaris stamps. He has masterfully etched the structural details of the building to great effect. And the gardens are truly beautiful. One expects a slight breeze to ruffle the leaves of the many plants surrounding the building. 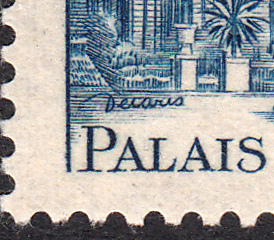 There is a rather charming little detail to this stamp, a final flourish as it were. Instead of the engraver name simply appearing in standard text, Decaris has signed his name in cursive as though this were a painting. I love this aspect of the stamp!